Daniel K. Inouye International Airport offers a variety of options for passengers waiting for their flights. In addition to shopping and dining, visitors may enjoy free Hawaiian entertainment in the Lobby, stroll through the Cultural Gardens, or take a look at the various art and exhibits located throughout the terminal. Daniel K. Inouye International Airport offers travelers a pleasant break from their travels at several garden sites. The Chinese, Hawaiian and Japanese Gardens were designed by Richard C. Tongg, FASLA, in 1962 when Daniel K. Inouye International Airport was built on this site. The Gardens surround the Ticketing Lobby and the E Gates of the airport. The C. B. Lansing Garden is located on the ground level of Terminal 1 near the walkway to Terminal 2. To learn more about the gardens click here Cultural Gardens. The State Foundation on Culture and the Arts has commissioned a variety of art works for display at the airport. They range from free-standing sculptures to murals. You will find them throughout the terminals. Most recently, a piece of fine art by local artist Satoru Abe was presented. 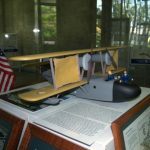 The art piece is displayed at the Daniel K. Inouye International Airport (HNL) main lobby terminal near the newly renovated cultural gardens. As part of the commemoration of the 50th anniversary of Hawai‘i’s statehood (1959), a giant mosaic mural featuring artwork by students nationwide is located at Daniel K. Inouye International Airport between Lobbies 5 and 6. Made up of over 8,000 unique images, the mural was created as a lasting tribute to our state. Founded in Honolulu on January 15, 1952, the Pacific Asia Travel Association (PATA) is committed to the development, growth, value and quality of travel and tourism to and within the Pacific Asia area. The more than 2,000 PATA member organizations and 20,000 PATA chapter members worldwide are dedicated to the enhancement of living standards worldwide. Annually they honor in the Gallery of Legends those individuals whose contributions, leadership and vision, and who have enhanced the quality of community life in the Pacific Asia region and throughout the world. The Gallery of Legends in located on the north side of the open air walkway to the E Gates. 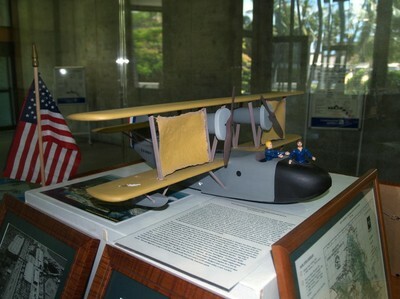 A display showing a model of the PN-9 Navy aircraft that John Rodgers and his crew flew on the first Trans-Pacific flight in 1925 is located on the south side of the E Gates near Dewar’s Restaurant.